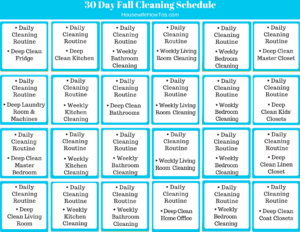 Now that school is back in session, I want to share my printable 30-day Fall Cleaning Schedule to help you start the school year off with a clean, organized home. I’m a big believer in breaking big projects down over the course of several days, or even an entire month. That’s precisely what this printable Fall Cleaning Schedule accomplishes. By spreading the work out over a whole month, you never have to spend a lot of time doing such a dreaded chore. You don’t need to worry about the rest of your home falling apart while you deep-clean, either: the schedule incorporates both deep-cleaning and regular weekly cleaning tasks. 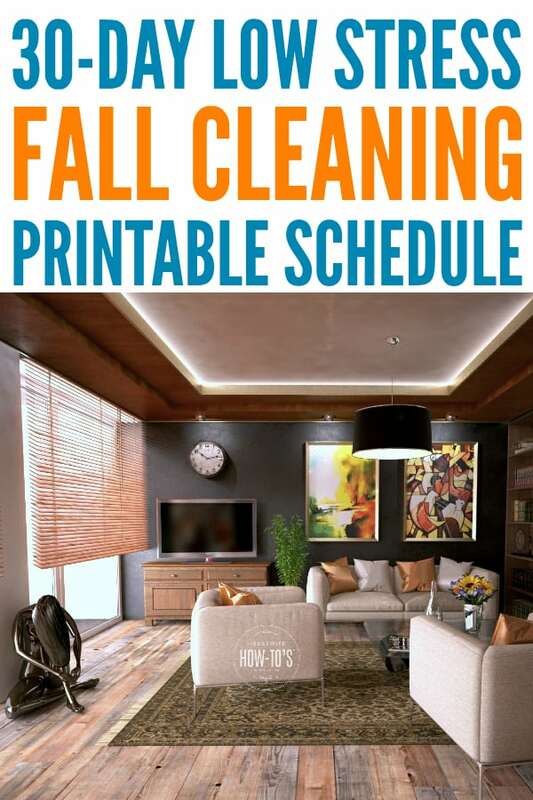 Grab the printable Fall Cleaning Schedule at the bottom of this post. Follow the checklists I’ve linked, or do your own cleaning routine. The important thing is that if you’re deep-cleaning a room early in the week, there’s no reason to do a weekly cleaning on it that week, too. The schedule reflects this — cross off each bubble as you go and you’re good. You’ll notice I didn’t put dates on the individual bubbles — that’s so you can tailor it to work with your family. Follow the bubbles in order, Monday through Saturday if you like, or start your cleaning week on Sunday if that’s your thing. Rather not clean on the weekends? Adjust the schedule to your needs. If you’re like me, you don’t enjoy being the only one doing the housework. Maybe you also find yourself starting to clean one thing then getting distracted by something else, only to reach the end of the day and see nothing really got done. Use the cleaning checklists below to solve that problem. The weekly and deep-cleaning checklists are designed to guide you step-by-step through cleaning. They’re so easy to follow that you can even hand them to your kids or partner so that they can help, too. A quick daily cleaning routine is the secret to having a house that looks clean all of the time. If you haven’t been staying on top of housework, you may want to do the entire Daily Cleaning Routine once or twice before you start the 30-Day Fall Cleaning Schedule. While weekly cleaning tends to things like surface dust and fingerprints, a seasonal deep cleaning gets to the grime behind and under things. 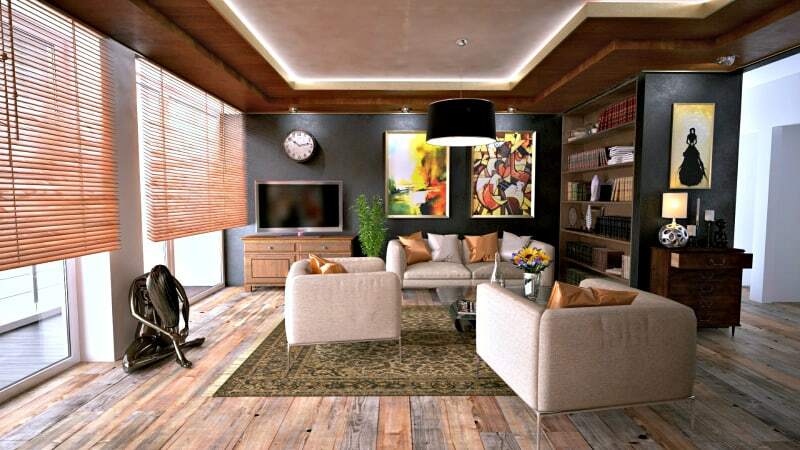 It’s about more than vacuuming the high-traffic areas or polishing furniture; it’s about getting everything in the room as clean as new (or close to it). The checklists below will guide you through seasonal cleaning, whether you’re doing it as part of a back-to-school fall cleaning schedule or starting in the Spring. Let your family help by having them take over part of the work. Kids can most definitely do the Daily Cleaning Routine once you’ve gone through it a couple of times yourself, and they’ll have a greater appreciation for the effort involved in keeping the house looking good all week long. Click to open the .pdf file for printing or right-click to save it to your computer. If you prefer a step-by-step plan that guides you through cleaning and organizing every room of your house, pick up a copy of my book, 30 Days to a Clean and Organized House. Just open to the day’s tasks, follow the step-by-step directions and go about your business. I’ve even included a dozen non-toxic, homemade cleaning mix recipes and a monthly schedule to help you stay on top of the house, so you never have to deep clean again. Readers call my book “life changing!“ and say it provides “the structure and routine I needed.” I’m confident it can help you, too! Note: This article first appeared in August 2013. It has been revised for republication.